OpaVote is a secure online voting platform that makes it easy to run elections at a fraction of the usual cost. We're the leading provider of ranked choice elections, which help achieve more democratic outcomes by better representing the will of your voters. Send your voters an email with secure, single-use voting links that ensure only authorized voters can vote, once. Create a personalized poll that anyone can vote on, and publicize it using your website, email, or social media. Count ranked ballots that you've already collected (using e.g., paper ballots or your own vote collection software). 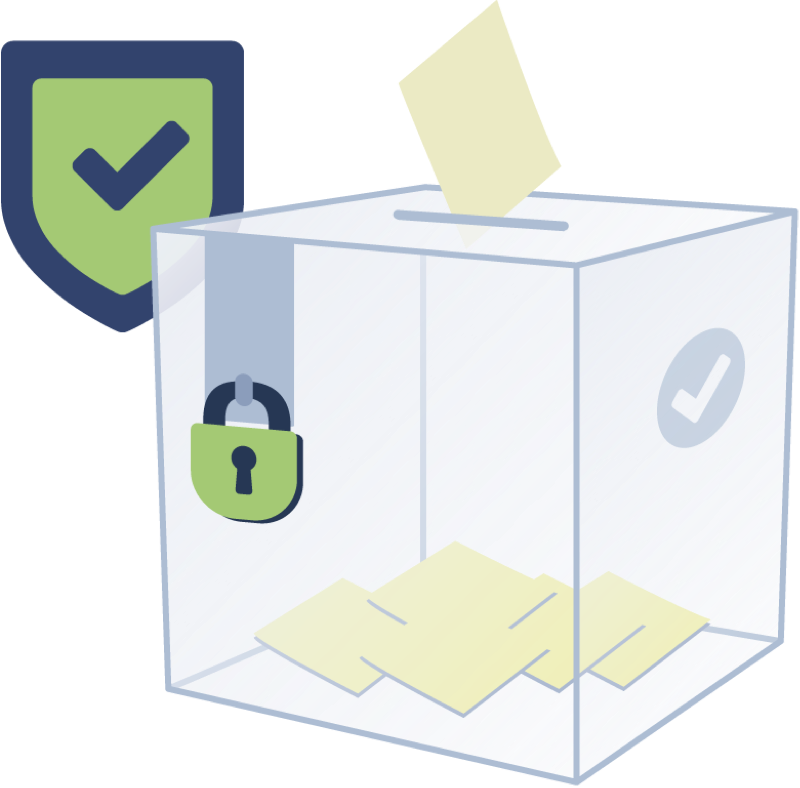 OpaVote's security features made it easy for us to audit the election while maintaining the secrecy of each voter's ballot. We had confidence the results accurately reflected the wishes of our voters. A particularly good feature is the 'reminder' email that you can send out periodically over the voting period. It certainly helped boost our response - more than 50% voted, which was excellent. 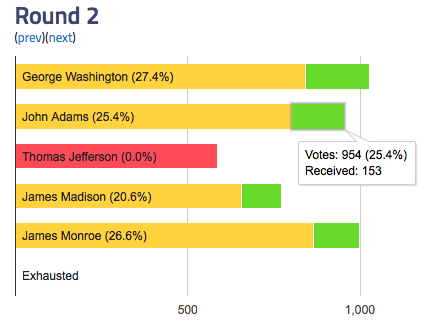 In one of our elections there were 6 candidates and the one with the 3rd most votes in the initial round ended up winning. OpaVote could not have better illustrated how ranked choice voting worked. OpaVote helped us improve our governance by enlarging our voter base to all athletes. The results output is super transparent and easy to understand - the community loved it. I love the fact that I can download the ballots, and recount them using different systems to see how the results would have differed. It gives OpaVote tremendous educational value. We use OpaVote to elect our employee representative body. The fact that OpaVote is a trusted third party gives us confidence that no one at our company can retrieve or manipulate the votes. Elect your organization's steering committee, employee representatives, student body leaders, condominum board members, etc. using the voting method of your choice. Maximize your chances of seeing grassroots action by having your political party's members surface the candidates they're most willing to back. Streamline your formal board or committee meetings. Use them to officially record what has already been pre-discussed and voted on ahead of time by email. Discreetly and inexpensively check if your union's members would like to strike before holding a formal assembly or sending an expensive 'legal' postal ballot. OpaVote is used by homeowner associations, companies, high schools, universities and colleges, nonprofit organizations, and political parties around the world. We make it super easy for you to set up an election and for your voters to cast their votes. When your election starts, each of your voters will receive an email with a secret, single-use voting link. Your voter then just clicks that link to be immediately taken to the voting page. Because our process is so easy for voters, we get a higher percentage of voters to actually vote. Our interface allows both regular (check box) voting and (drag and drop) ranked choice voting. You can try the voting interface in the example ballots that follow or by casting a vote in our demonstration poll. We support most well known counting methods. 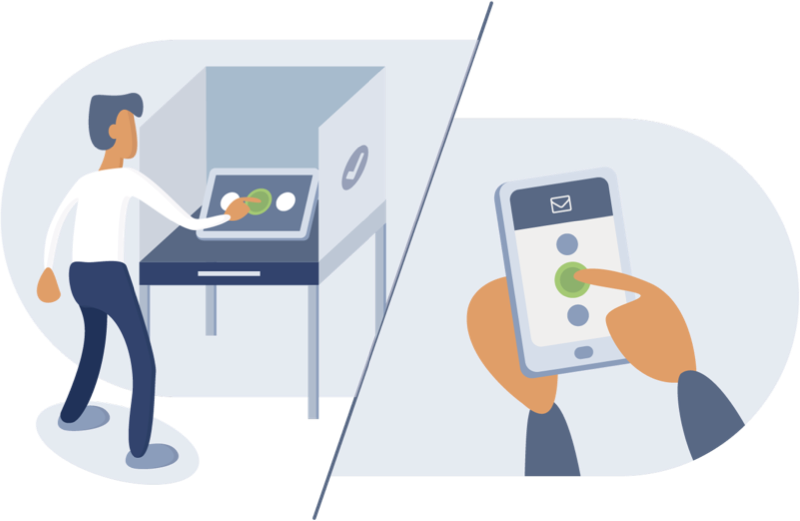 OpaVote lets you do a traditional election where voters select a single candidate, ranked-choice voting (e.g., STV, IRV, or Condorcet), approval voting, or more than one contest with any combination of methods. We also support weighted voting, to accomodate scenarios where some of your voters are more equal than others - based on their number of shares, their property's surface, etc. Each $10 gets you up to 125 voters and 10 candidates across any number of contests. Polls always have unlimited voters. Elections stay on our systems for a total of 12 weeks. OpaVote is free of charge for elections with up to 25 voters and 10 candidates. Evaluate our service now by running a small test election with your colleagues. One of the hardest aspects of running online elections is delivering the voting emails. Our reporting tools update you in real time so that you know which voters have received emails, opened them, visited your voting page, and voted. You get an explanation (e.g., mailbox full) for emails that are not delivered and can drill down to resend them. OpaVote also has backup email delivery. We automatically detect when emails get mislabeled as spam (about 1%) and resend them using a different service. This gives us very high deliverability with no effort on your part. Last but not least you can send periodic reminders to voters who haven't voted yet. This helps you maximize voter participation and is a client favorite. Voters love the clear and transparent results OpaVote will enable you to provide them with. At the end of your election, you'll get the raw ballots as well as a detailed report with counts automatically done for you. The step by step explanation of these counts are based on the voting method you used, and interactive graphics allow you can see the fine-grained details at each step. You can try a report's look and feel by looking at the results of our demonstration poll. OpaVote makes it super easy to combine having on-site and offsite voters in your election. By using single-use code voters (which also come in handy when spouses share the same email address), you can have voters who can make it to your venue(s) cast their vote in booths using PCs or tablets, and voters who can't make it cast their vote by email on their own devices. Once the voting ends, OpaVote will provide you with the final count directly, without any manual steps on your part. See our blog post on using OpaVote for on-site elections for more details. Our voting pages are encrypted so your voters can enjoy complete security and privacy while voting. See our blog post on security for more details. We offer the strongest possible guarantee of voter anonymity: we simply do not track who votes for what; only who votes, and what the vote is. We're an independent third-party with no stakes in your election, and we've built OpaVote so it can only operate like a non-biaised and uninterested referee that you and your voters can trust. You and your voters can thus rest assured that no one in your election - not even yourself - can tamper with or improperly influence your election's results. Stay up to date with new features, blog posts, and special offers.